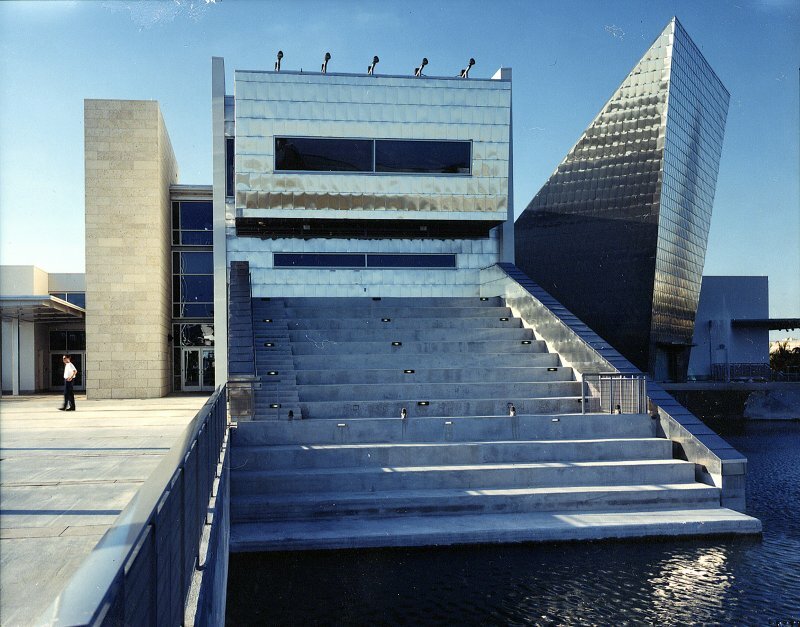 This hall of fame and museum in Fort Lauderdale was conceived for the IGFA’s world headquarters, creating a public attraction to honor the legends of sport fishing and educate the public about the history, science and sport of recreational fishing. Outdoor bleachers provide seating for educational lectures and demonstrations on the large man-made lake. At courtyards, brise soliel elements and palm trees serve to soften harsh midday sun and create livable outdoor environments. 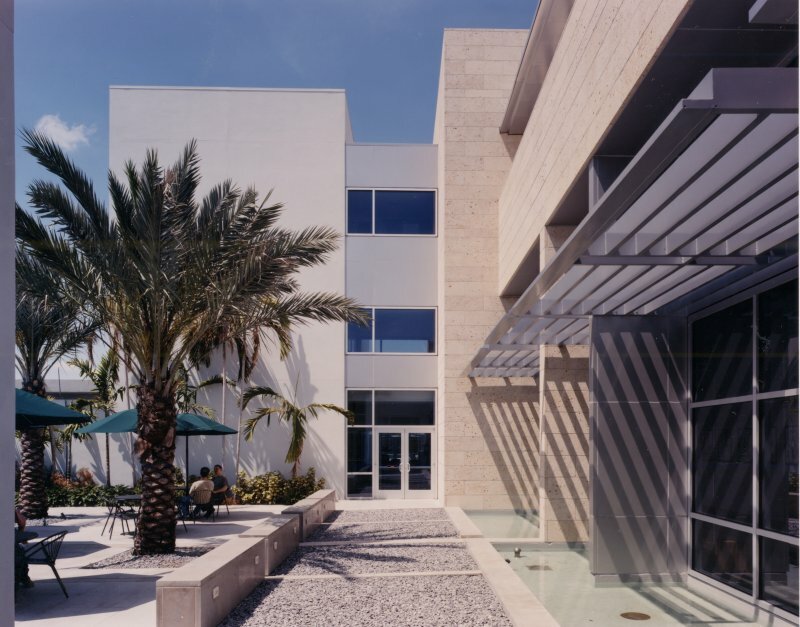 Carefully sited in a previously undeveloped parcel adjacent to heavily-traveled Interstate-95, the facility was conceived as an object surrounded and influenced by water. The building envelope subtly expresses the dual language of “fish” as well as “fishing” in materiality, texture and pattern. 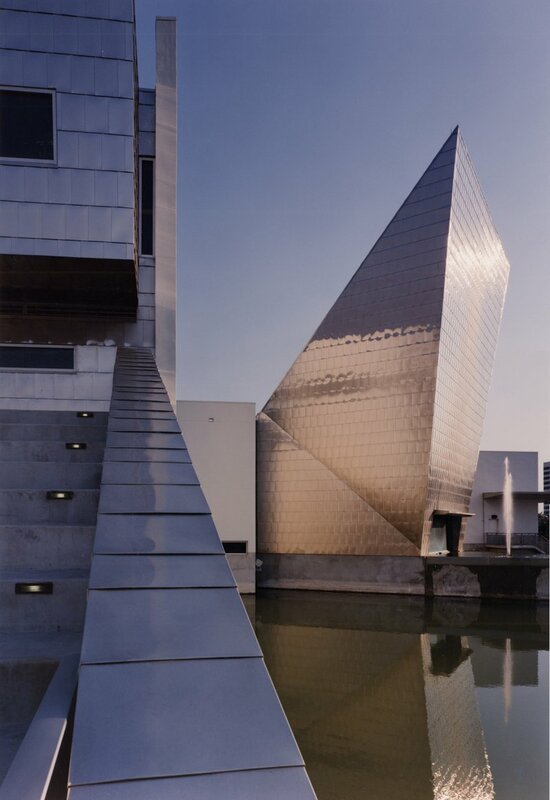 The abundant use of stainless steel, white plaster and sculpted forms evoke the language of sleek sport fishing vessels; simultaneously, the staggered pattern of stainless wall panels reflected in the light of the surrounding pond, evoke the shimmering iridescent qualities of fish emerging from the water. 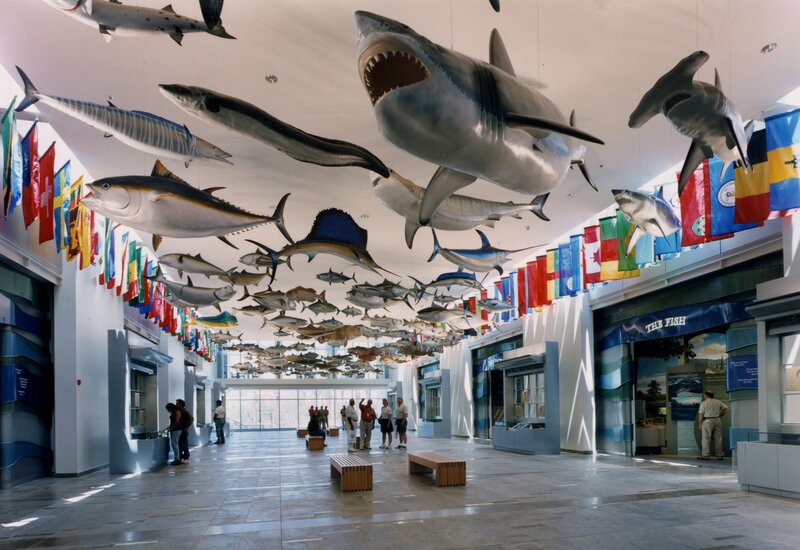 A central “Hall of Greats” contains world record mounts of every species IGFA maintains records for and provides access to each of the six focus galleries.